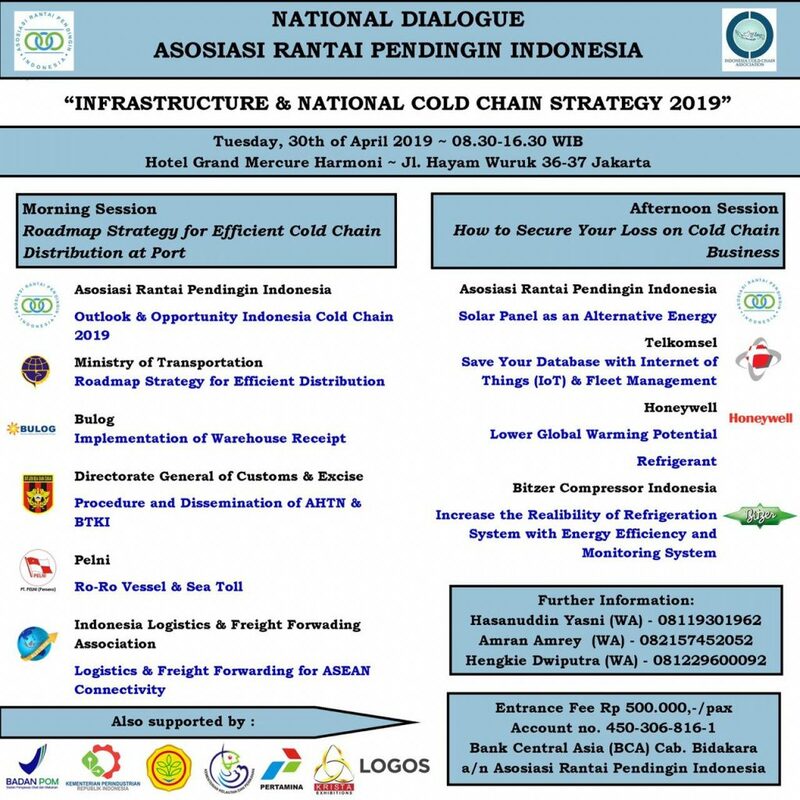 To decrease a cost of cold logistics and transportation, Indonesia needs to prepare an updating infrastructure and strategy of cold chain system. How to make all facilities can operate efficiently and connected each other, it will be a main topic in ARPI National Dialogue. Beside Field Government Institutions dialogue in the morning session that will explain current situation on cold chain infrastructure, private industries will talk on afternoon session that will explain how to reduce the cold chain cost regarding to use the new technology, Internet of Things, alternative energy and monitoring system. This National Dialogue will be held on April 30th, 2019, at Grand Mercure Hotel, Jakarta. The event supported by field government institutions, Bitzer Compressors Indonesia, Honeywell Indonesia, Telkomsel, LOGOS SEA Indonesia, Pertamina (Tbk), Kristamedia Pratama, and Jalur Sejuk.